So goodbye then, Atos. You did your masters’ work well and consigned thousands to despair, destitution and death. Nobody will be sorry to see you go, and we will have to make sure that you really don’t get “a single penny of compensation”, as Mike Penning has claimed. How sad that you are still being trusted to run PIP assessments in parts of the UK; let us hope your contract for that does not mysteriously increase in value. How sad that you are still being trusted to administer payments of the new childcare subsidy; let us hope your contract for THAT does not mysteriously increase in value. We shall also be watching to ensure that OH Assist does not suddenly benefit from new contracts; we know that’s you as well. I would like to know WHY they still have the contract for PIP ? And why is compensation being mentioned if they pulled out of the contract early? Surely they should be sanctioned? Unless Mike Penning has let the cat out of the bag and revealed that Atos & DWP have done some deal to make government look good. So would the Public Accounts Committee. And the rest of us, too. Who knows Mike maybe one day when we have a real government, you know one that’s of, for and by the people. A government that cannot be bought or sold and real Justice comes back to these bombarded shores of ours, we will be able to Drag from whichever rocks all these Fascists,Fraudulent Bankers,Corrupt and Complicit politicians are hiding, no matter what political persuasion they all are, and make them face said real Justice with real punishments for the Murderous, Treacherous, Inhumane, crimes against the peoples of this once Great country. A once Great country Destroyed by a massively Corrupt political class. People are wondering why Atos have got other contracts. Simple answer is that if they didn’t have the possibility (certainty) of further contracts then just imagine what cats they could let out of the bag! 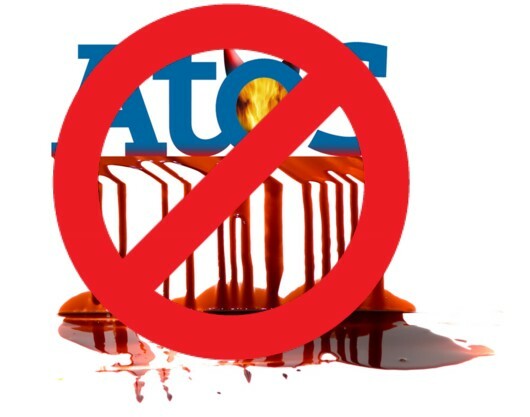 Atos did the govts bidding according to govt instruction to rid ourselves of Atos we must rid ourselves of this poisonous government.